Back in 2004, the principals at Silversage Advisors stopped using the brand label of the broker-dealer they were working with at the time, Associated Securities. When they renamed their firm, they decided to channel its founder’s heritage. Jeffrey Garell hails from Nevada, called the “silver state” after its mining past. Silver is a commodity historically used as currency. Nevada’s state flower is the sagebrush, a hardy perennial surviving where many other plants cannot. And sages are wise, experienced people. The company website explains all this in chatty, colorful prose. Practical factors also influenced the renaming, according to Daniel Sands, a managing principal at the firm, which oversees $186 million out of Irvine, Calif. The team had been working on succession plans with outside advisors who did not want to affiliate with a firm named after another person. And just last year, when Silversage added a principal, the new colleague commented that he would have resisted joining a firm named after its founder. “When naming your company, don’t just select a name that works for today, but one that will work with the long-term vision of your firm,” Sands says. Renaming a firm requires detailed planning, according to those who’ve been through the process. Although Silversage did it alone, others recommend finding a consultant who will help advisors cross all the t’s and dot all the i’s. For one thing, virtually every entity the firm interacts with must learn about the switch: advisory regulators and the IRS, custodians and broker-dealers, clients and prospects, centers of influence and vendors — not to mention the firm’s entire staff. He says advisors should evaluate their motives before doing anything. Good reasons to rebrand include appealing to a niche, improving a name that sounds too generic and embarking on growth or succession plans. Bad reasons are boredom, egoism or desperation for public attention, Sofia says. He once worked damage control for a firm that changed its name to reflect the founder’s Southern Baptist religious values. Even Bible Belt clients recoiled at the revamp, which initially featured a new logo with flames and the Holy Trinity. Sofia worked with one firm that changed its name three times over 30 years to keep up with the tenor of the times. But he warns that switching too often may erode brand power. Subtle name changes can be effective, according to Pete Benson, whose firm, which manages $500 million in Franklin, Tenn., became Beacon Capital Management instead of Beacon Financial Group a year and a half ago. The new name reflects its growing base of high-net-worth clients, says Benson. In consultation with Platinum, the firm also added skilled staff, moved into a redesigned office and updated its letterhead and website. The old website URL redirected visitors for several months after the name change. Some advisors feel that a firm named after its founder is inviting succession-planning problems. But others are happy to keep their predecessor’s name on the door — at least for a while. 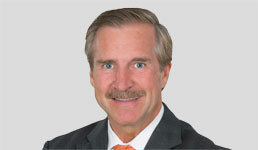 Greg Hammond and his partner, Scott Iles, took over Kelly Financial Group from Walter J. Kelly Jr. in 2005 and used the name until 2012, when they changed it to Hammond Iles Wealth Advisors. During the unveiling at a client appreciation event, Hammond says, some guests said it was about time. The Wethersfield, Conn., firm manages $133 million. Will Morningstar’s SMAs Steal Your Clients?